Vladimir Sabich Jr. was born on January 10, 1945. Literally as soon as he was born, his father gave him the nickname that would follow the younger Sabich his whole life. Seeing his son’s unusually long, skinny arms and legs, Vladimir Sr. said that his son looked just like a spider. So Vladimir Jr. became Spider Sabich. When Spider Sabich was five the family moved to Kyburz, California near Lake Tahoe and Spider’s skiing career began. He learned to ski and to ski race at a small family ski area named Edelweiss. 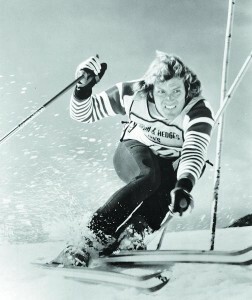 Spider and his brother Steve became part of the “Highway 50 Boys”, a group of young ski racers from Edelweiss who outperformed better equipped junior racers from bigger named ski areas such as Squaw Valley. Bob Beattie was the coach of the very successful University of Colorado(CU) ski team which had featured Billy Kidd and Jimmy Heuga. Beattie recruited both Spider and Steve for CU. Steve’s CU career would be cut short by a knee injury. Spider would ski for CU and be named to the U.S. national team which was also coached by Bob Beattie. Spider raced on the U.S. ski team for 4 years. At the 1968 Olympics he finished 5th in the slalom and 14th in the GS. In 1969 he ended up ranked 11th overall in the World Cup standings. In 1970 Spider would once again follow Bob Beattie. 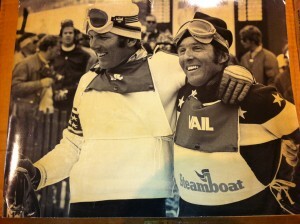 Beattie had started a World Pro Ski Tour which featured a whole new racing format. Skiers raced head-to-head through elimination rounds until only two were left to compete in the finals. The courses included a couple of jumps amid the gates just to spice things up. It was a more TV-friendly format than the traditional ski race. Plus for the U.S. racers it was a chance to actually make money ski racing. Spider thrived in the new format winning the overall tour championships in 1971 and 1972. Sabich was the perfect star for the new pro tour: good-looking, charismatic, fun-loving. Even though the amount of money Spider won on the tour wasn’t impressive, he made far more in endorsements. Good-looking, charismatic, fun-loving probably doesn’t go far enough in explaining Spider’s appeal. Women found him irresistible, but even men were drawn to Spider because he always knew how to have a good time. Sometimes that good time could get you in trouble as Billy Kidd found out. Practicing for the 1968 Olympics, Spider and Billy went out to a fancy restaurant, disputed the bill and ended up spending the night in the Grenoble jail! 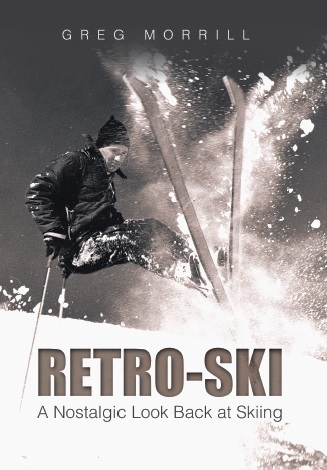 In 1973 Jean Claude Killy came out of retirement and joined the World Pro Ski Tour. The result was a season-long battle between Killy and Sabich. The climax came at the final event held in Aspen Highlands. Spider fell on one of the jumps during the GS and suffered a compressed vertebra. He was unable to compete in the slalom the following day and Killy won the overall tour championship. The injury would impact Spider’s racing career from that point on. 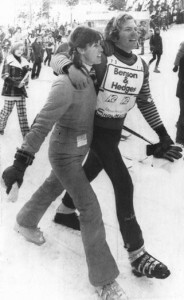 At a celebrity ski race in 1972 Spider Sabich met Claudine Longet – an actress, singer, and the estranged wife of Andy Williams. The attraction between the two was mutual and immediate. Their relationship escalated and eventually Spider moved Claudine and her three children into his Aspen home. By 1976 Spider faced some decisions. Since the 1973 injury he’d only won one race so should he continue racing? Friends said he was considering ending his relationship with Claudine. On March 21, 1976 he returned home from a meeting with Bob Beattie. Spider was preparing to take a shower when Claudine entered the bathroom carrying a pistol. While there are many versions of what happened next, the gun fired and the bullet struck Spider in the abdomen. Spider died in the ambulance from loss of blood. I had many correct responders that identified Claudine Longet. The first with the correct answer was Art Lloyd who also recalled the later Saturday Night Live skit called the “Spider Sabich Memorial Ski Shoot”. The skit was of questionable taste and SNL actually offered an apology the following week. Other correct responders included Bob Stewart who actually met Spider. Spider was a business partner with one of Bob’s high school friends. Another correct responder, Richard Stibolt, added that over Christmas he had watched the Peter Sellars movie The Party which featured Claudine Longet. Next week I’ll write about Claudine Longet’s trial. How’s that for building suspense!